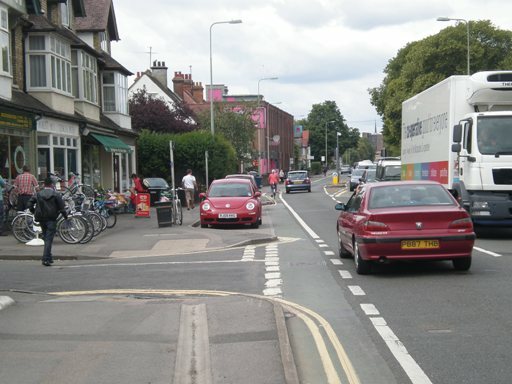 The short-stay parking outside the shops was put into a bay, cutting into the pavement, to provide a continuous cycle lane. The “official” pavement ends up fairly narrow, but this is acceptable because the shops have open forecourts. It isn’t practical for residential parking.